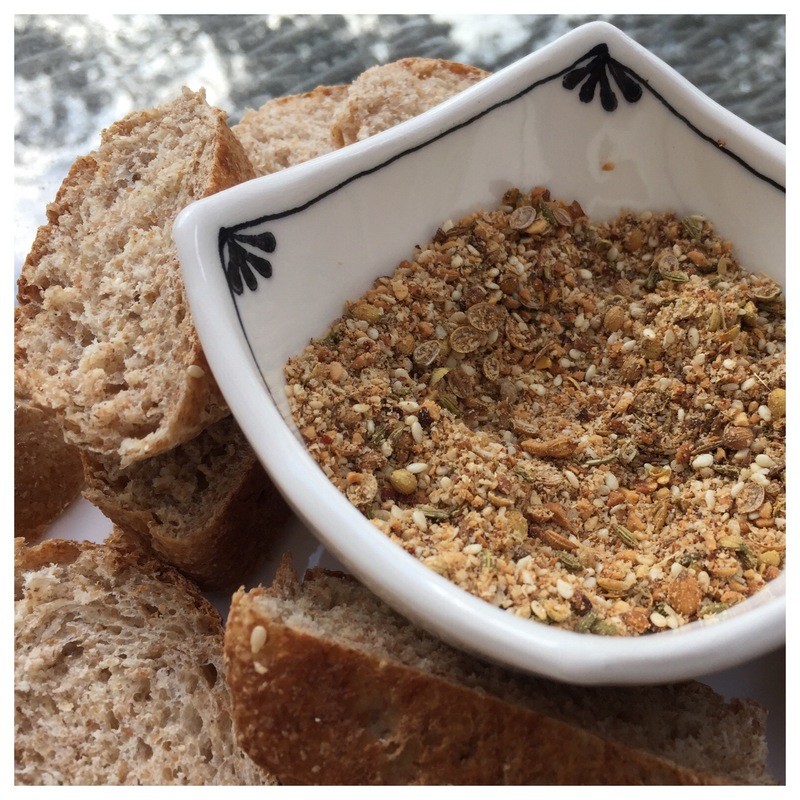 Dukkah is a tasty and versatile flavouring. It’s inexpensive to make and you get to choose what flavours you favour. Toast them in the oven at 180 degrees C for 5-10 minutes, stirring half way through. Put the seeds and nuts in a mini food processor or spice mill with the salt and paprika. Blend for a few seconds at a time until you get a texture you like. Store in airtight container in the fridge for up to a week or freeze for longer storage.